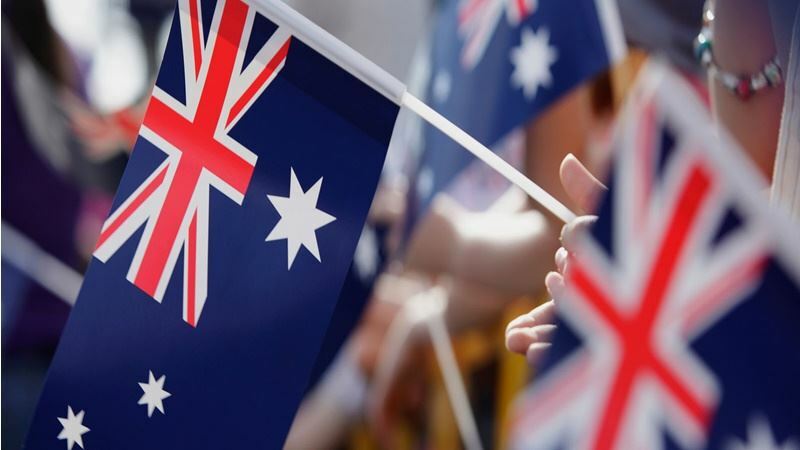 An internationally renowned geologist, a former Vice-Chancellor, a law and genetics expert and a former federal politician were among 2019 Australia Day honours recipients with connections to the University of Tasmania. Vice-Chancellor Professor Rufus Black congratulated the recipients saying the University followed with interest and great pride the progress and achievements of members of the University community. Distinguished Professor Donald Roderick Chalmers AO was appointed as an Officer of the Order of Australia for distinguished service to education, particularly to health law and medical research ethics, and to legal reform. His achievements at the University of Tasmania include being a recipient of the Distinguished Service Medal in 2010; a founding member and current Deputy Director of the Centre for Law and Genetics and Law Faculty Dean 1985-1986 and 2000-2009. Leading ore deposit geologist Professor Ross Raymond Large AO was appointed as an Officer of the Order of Australia for distinguished service to education, and to scientific research, in the field of economic geology, and to professional societies. Professor Large graduated with a Bachelor of Science with Honours in 1970. The Honourable Warwick Leslie Smith AO was appointed as an Officer of the Order of Australia for distinguished service to Australia-China business and financial relations, to education, and to the community. Mr Smith graduated with a Bachelor of Laws in 1979. Professor Daryl John Le Grew AO, Vice Chancellor and President of the University of Tasmania from 2003 to 2011, was appointed as an Officer of the Order of Australia for distinguished service to education, to research infrastructure development, and to architecture. Mr Joseph Ernest Castellino PSM was awarded the Public Service Medal for outstanding public service in leading fiscal policy analysis and advice to the Prime Minister and Cabinet. Mr Castellino graduated in 1997 with a Bachelor of Economics and Laws. Associate Professor Donald Raymond McTaggart AM was recognised as a Member of the Order of Australia for significant service to medicine as a cardiologist, and to the community of Launceston. An Associate Professor at the University’s School of Medicine since 2009, Associate Professor McTaggart is also a Launceston cardiologist and Chair of the Clifford Craig Foundation. Dr Bryan Geoffrey Walpole AM was recognised as a Member of the Order of Australia for significant service to emergency medicine, to professional organisations, and to sailing. Dr Walpole was Senior Lecturer, Emergency Medicine, at the University of Tasmania, from 2004-2017 and a recipient of the University’s Distinguished Teacher Award in 2007 and 2009. Ms Debora Margaret Picone AO was appointed as an Officer of the Order of Australia for distinguished service to the community through the coordination of improvements to the safety and quality of health care. Ms Picone has been an Adjunct Professor with the University since 2012. Mr Graeme Bernard Lynch AM was recognised as a Member of the Order of Australia for significant service to community health through a range of roles and to the Tasmanian wine industry. Mr Lynch graduated with a Bachelor of Laws with Honours in 1998 and a Graduate Certificate in Legal Practice in 1999. Mrs Ketrina Jane Clarke OAM was awarded an Order of Australia Medal for service to swimming. Mrs Clarke graduated with a Bachelor of Laws in 1984 and a Master of Business Studies in 1997. Mr Stephen John Knight OAM was awarded an Order of Australia Medal for service to community celebrations. Mr Knight graduated with a Bachelor of Laws in 1980. Mr Mark Anthony Orr AM was recognised as a Member of the Order of Australia for significant service to community health through a range of initiatives. Mr Anthony received a Master of E-Health in 2016. Ms Maria Louise Wilton AM was recognised as a Member of the Order of Australia for significant service to the business and finance sector, and to the community. Ms Wilton graduated with a Bachelor of Economics in 1985. Mr Leslie Arnould OAM was awarded an Order of Australia Medal for service to veterans and their families. Mr Arnould graduated with a Master of Public Administration in 1997. Mr Robert Maurice Patterson OAM, RFD was awarded an Order of Australia Medal for service to science, particularly the environment and health. Mr Patterson graduated with a Graduate Diploma in Environmental Studies in 1990, and a Master of Environmental Management in 2008. Mr Peter John Quigley OAM was awarded an Order of Australia Medal for service to the performing arts, particularly through music. Mr Quigley graduated with a Bachelor of Arts (Music) in 1978 and a Master of Education Studies in 1992. Ms Joan Lesley Wright OAM was awarded an Order of Australia Medal for service to music as an educator. Festival of Voices producer and Australian National Choral Association President (2005-2007), Ms Wright graduated from the Conservatorium of Music in 1967. Acting Inspector Patricia Maree Duke APM was awarded the Australian Police Medal. Acting Inspector Duke received a Graduate Certificate in Police Studies in 2004. Mr John Norman Bolger AFSM was awarded the Australian Fire Service Medal. Mr Bolger received an Associate Diploma in Emergency Management in 1997. Simone Lesley Haigh ASM (BHM 2003) was awarded an Ambulance Service Medal. Ms Haigh received an Associate Degree in Paramedicine Studies in 2008.